Time to Unwine-d: This Wine is Fergalicious! I’m having a “ME” night tonight. The hubby is off working and I’m on my own with a good book and a hopefully good bottle of wine. 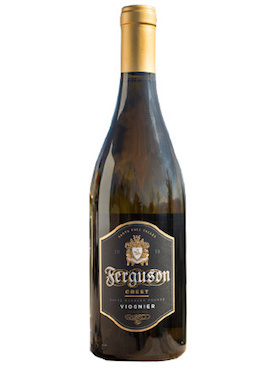 So I went into our cellar and pulled out a bottle of 2011 Ferguson Crest “Fergalicious”, knowing only that it’s a blend of 56% Syrah, 25% Merlot, 13% Grenache and 6% Cabernet Sauvignon. I’m a huge lover of Syrah (in case you didn’t already know that) and the price wasn’t outrageous (I feel guilty opening an expensive bottle with my husband off working), so I grabbed this bottle thinking that it was the perfect wine for the night. Just when you thought Fergie wasn’t fabulous enough, she comes out with her own signature wines from her vineyard, Ferguson Crest. Her winery has three different delicious wines, but we’re especially loving the “Fergalicious” red blend. And of course we had to see what it tasted like in a cocktail! 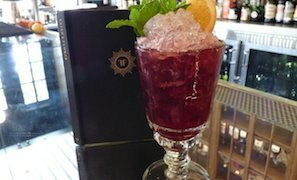 Faith & Flower mixologist Michael Lay decided to shake up a Rouge Cobbler that’s the perfect libation to serve up at your upcoming holiday parties. It’s so good, you may even catch your friends feelin’ a little Fergalicious themselves! Read more. We thought we knew most of the wineries in Santa Ynez, but have never heard about a Fergalicious red blend from Ferguson Crest in Solvang. After a few days we checked it out online and to our surprise found out that the wine is made by rock singer Fergie Duhamel (you may know her as the lead singer of the Black Eyed Peas or from her solo career as Fergie) and her dad Pat Ferguson. At first we were a little skeptical about another celebrity wine, but we were familiar with the winemaker Joey Tensley and liked Fergie’s music so we thought why not give it a try. After responding to the email, we were now eagerly awaiting the arrival of the bottle because the blend of Syrah, Merlot, Grenache, and Cabernet Sauvignon sounded so intriguing and all those varietals thrive really well in the Santa Ynez Valley of Santa Barbara County. Read more. One new name to watch is Ferguson Crest, overseen by Pat Ferguson and his family (his daughter is Black Eyed Peas singer Fergie). 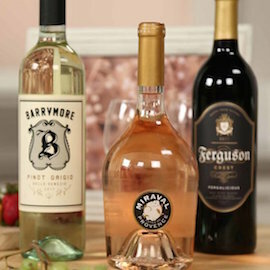 Ferguson is focused on making what he calls “boutique wine that people can afford,” adding that he wants the wine to stand on its own merit and not just its celebrity connection. With winemaker Joey Tensley in charge, he’s off to a good start with this balanced, fresh and creamy version. 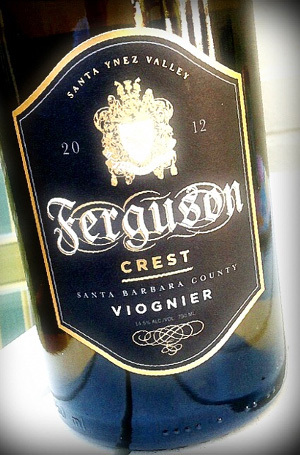 FERGUSON CREST Viognier Santa Barbara County 2012 Score: 90 | $28 Balanced and pure, with rich, lush pear, peach and yellow raisin flavors that are smooth and creamy, showing floral and spice overtones and a refreshing acidity on the long, spicy finish. Drink now. 210 cases made.—M.W. Read more. 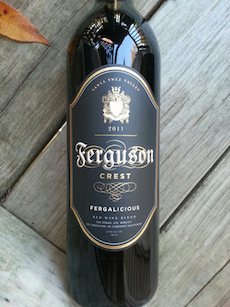 Fergalicious is Ferguson Crest’s signature red wine blend of Cabernet Sauvignon, Merlot, Syrah and Grenache. Yes, it's named after their daughter Fergie! 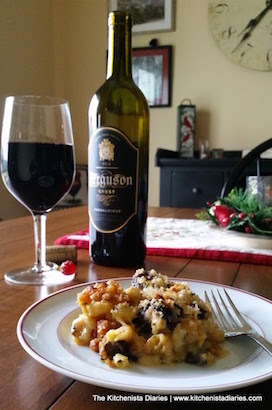 The folks at Ferguson Crest sent me a bottle to sample and pair with a holiday dish. It's full-bodied but smooth, and perfect for a special occasion. Upon doing a little wine pairing research (y'all know I love my research), I knew I had to choose a dish that either matched its boldness or was understated - I chose to go big. 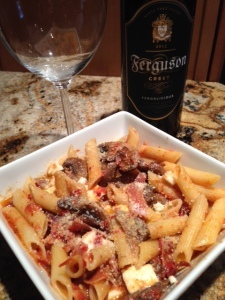 The wine paired excellently with the meaty roasted mushrooms, nutty Gruyere, and sharp aged white cheddar, while the sweet caramelized onions offered balance. I loved trying something a little more decadent for my impromptu gathering. Read more. It just sounds regal, doesn't it? A passion project between Fergie and her father, who tends the vines daily, this blend is big, bold and, yep, Fergalicious. Read more. 2013 Fergalicious receives a 90 point rating by Josh Raynolds. Bright purple. Ripe dark berries, cherry and floral pastilles on the perfumed nose. Fleshy and broad on the palate, offering juicy blackcurrant and bitter cherry flavors and a hint of allspice. Dusty tannins give shape to the finish, which clings with tenacity and spiciness. 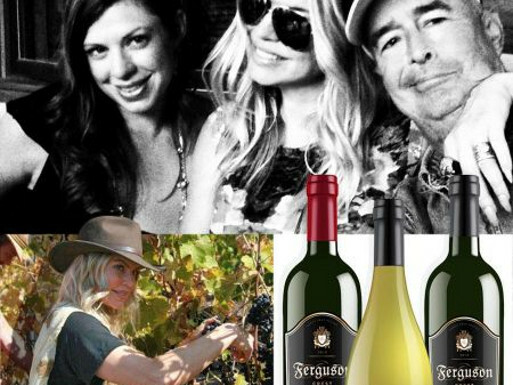 This wine was made by Joey Tensley for his friend and neighbor, music megastar Stacy Ferguson, aka Fergie (ask your kids, or grandkids), from fruit grown in her six-acre vineyard near Solvang. Read more. Pat Ferguson is a retired high school teacher balancing his time between Santa Ynez Valley and fishing trips to Mexico. He also happens to be the father of Stacy Duhamel aka “Fergie” of the Black Eyed Peas. Read more. 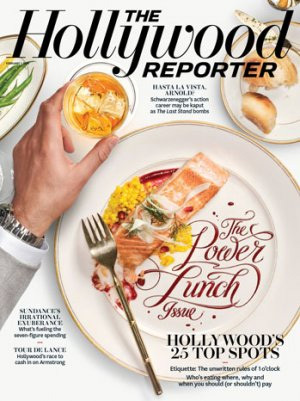 CAITLINCOOKS: THE HOLIDAY GO-TO GIFT FOR EVERYONE!!!! Ferguson Crest is the pet project of Fergie Duhamel, singer of the Black Eyed Peas, and her father, grower Pat Ferguson. 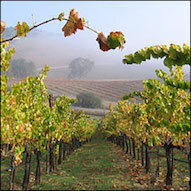 Ferguson Crest vineyard is located in Solvang, in Santa Ynez Valley, Santa Barbara County, California. Winemaker Joey Tensley turns the fruit grown by Pat Ferguson into wine, and Fergie and sister Dana join in at harvest every year. Read more. Wine Enthusiast: Do you see a connection between music and winemaking? Fergie: Whether I am writing music or crafting wine, it is very personal and I pour myself into the creation of something that truly represents me. Most importantly, I always want my creative ventures to be a reflection of what I enjoy, and in the case of the winery, be true to what my family loves. Read more. You can sip on Fergie's wine. 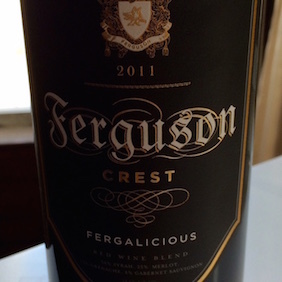 Oh yes, Fergie released her very own wine called The 2012 Ferguson Crest 'Fergalicious' Red Blend. Pour us an extra large glass, please! Read more. Some say cheese and chocolate go best with wine. 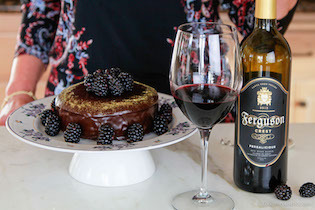 Well, when it comes to Fergie’s new vintages for her Ferguson Crest wine label, we think the best pairings are the pop star’s own songs (in addition to cheese and chocolate, of course). 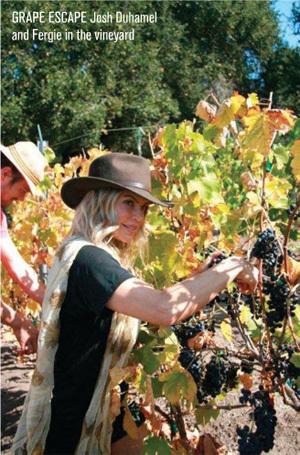 The Santa Barbara winery founded in 2006 by Fergie and her dad, Pat Ferguson, just released its 2012 Syrah, 2012 Fergalicious and 2013 Viognier. Read more. Wine was on the menu as well as foodies got to try vintages from Mas Las Cabas, Melville, Ocean Vodka, Wines of Rioja Spain, Calista, Blackbird Vineyards and Ferguson Crest, to name a few. Ferguson Crest is a vintage created by Fergie, of Black Eyed Peas fame. The singer/actress got together with her father to launch her own family label that she sampled at the event. 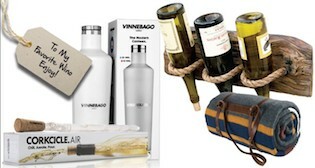 The label features a syrah, a cabernet, and two viogniers (white). Read more. My first impression: "Damn, this is good Viognier." I know a little Viognier "never killed nobody," but this is "Beautiful Dangerous." Tinted gold in the glass, it's a great looking wine. The nose gives forth some nice pear, apple and honeysuckle scents, with a little herbal essence sneaking up, late in the sniff. But wait, as they say on the two-minute-long commercials. There's more. Many a celebrity wine label have left us wanting. That said, we've been pleasantly surprised by a handful of bottles, some of which would even hold their own without the famous names attached. Watch the video for tasting notes on three of our favorites, including a white, a rosé, and a red. Read more. Food & Wine Magazine posted a photo of Fergie at the festival, with this caption: "Spotted at #LAFW: @Fergie, pouring her family’s new @FergusonCrest 2012 Fergalicious Red Blend. Wine expert @anthonygiglio says the name is apropos. His review: "Delicious." 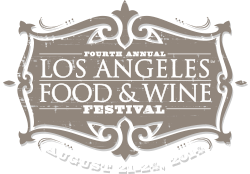 Celebrity Gossip: Fergie Promotes Ferguson Crest Wine in L.A. Taking on a venture far from the music biz, Fergie visited The Wine House in Los Angeles for an exclusive bottle signing in celebration of her new wine line Ferguson Crest on Tuesday (February 12). The Black Eyed Peas front woman served up some vino in a black brimmed hat, red scarf, black and red dress, and red leather pants. 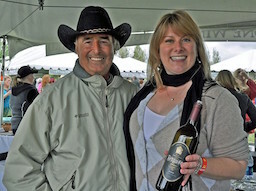 Accompanied by her father, Jon Patrick who joins her in the venture, the 37-year-old singer founded the Ferguson Crest vineyard in 2006. Read more. Does wine pair well with Black Eyed Peas? Safe to say it does with at least one of them: Lead singer (and solo artist) Fergie, whose burgeoning empire has expanded from pop singer to beauty entrepreneur and now to winery owner. She and her horticulturist father, Pat Ferguson, are the family force behind Ferguson Crest wines, which they recently unveiled. A FERGALICIOUS VINTAGE: "PEOPLE CAN HATE MY MUSIC AND STILL LOVE THIS WINE"
Fergie is already a multi-hyphenate: She's a singer (solo and with the Black-Eyed Peas), an actor and a beauty entrepreneur. But it’s Fergie’s latest project that she says taps into her true passion.